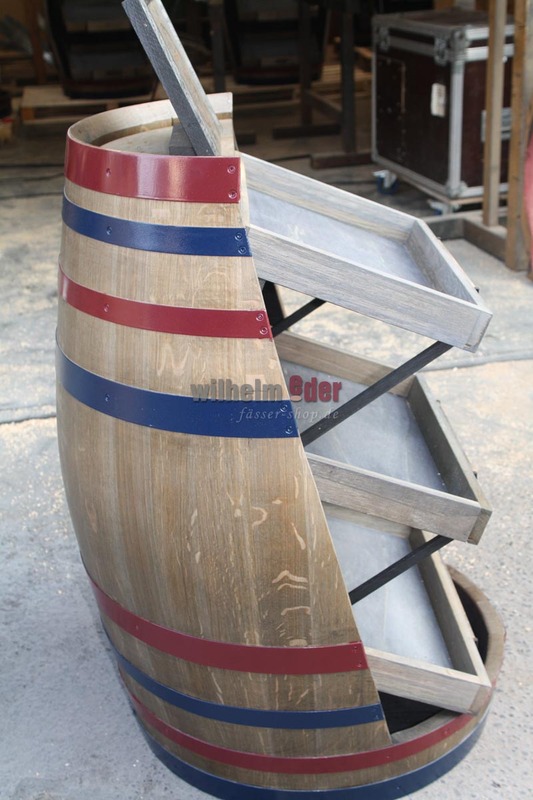 Product information "Rum Display Sierra Madre 300 l"
Made of an 300 l oak barrel which has been lacquered in jetsam and has been painted with clear vanish. -The height of this display is approx. 95 – 100 cm without stand. -The barrel has been separated from top to bottom vertically, dowelled and screwed, staves have been glued. 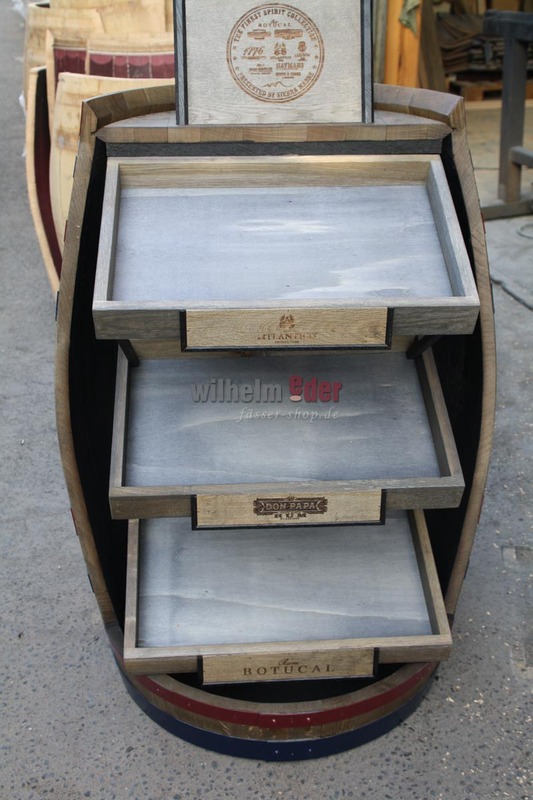 -Equipped with three obliquely placed displays for showing Sierra Madre rum bottles – The size is adapted. -The drawer front has been equipped with engraved and non-exchangeable wooden board. -The hoops have been painted in red and blue. 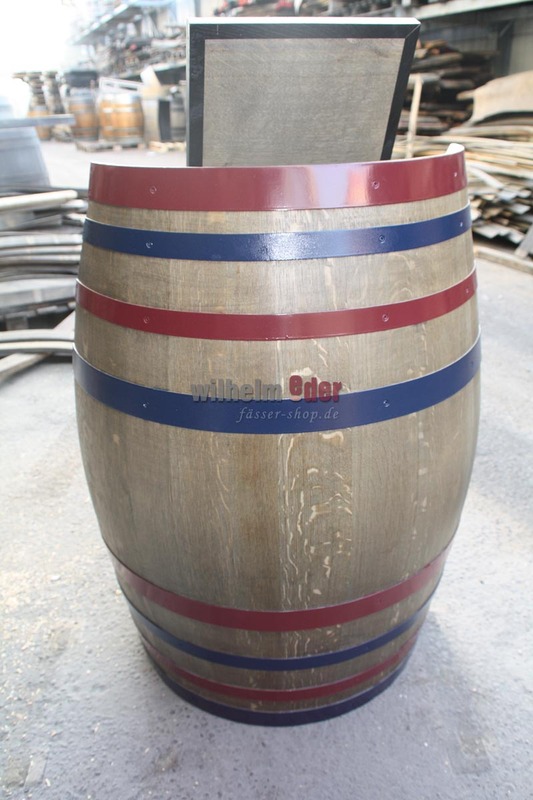 -The stand has been fixed on the top of the barrel and has been engraved. 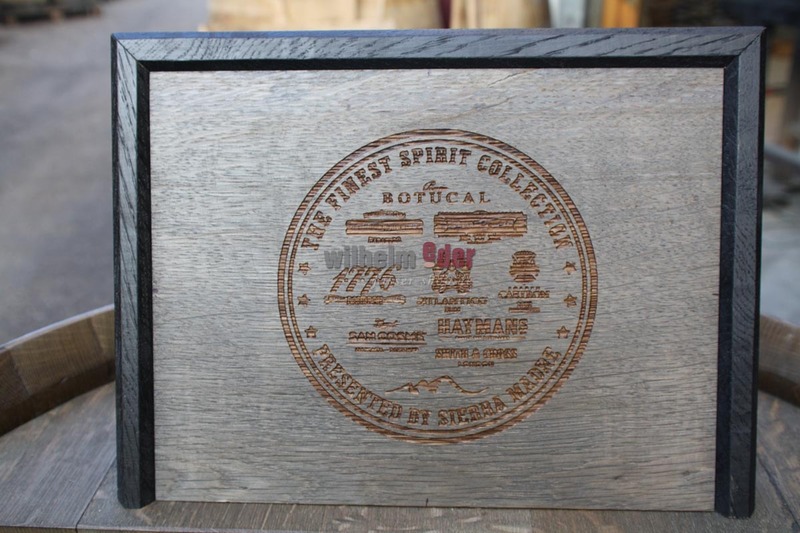 -The types of laser engraving will be defined by the customer. The articles, which are presented in this category, are manufactured to the customer`s requirements in our own barrel carpentry. We will gladly implement your ideas due to your individual demand. Our multilingual team is looking forward to hearing from you soon. Price on demand.